Dicyemida might get the award for strangest possible lifestyle. Not only does it only live in guts of cephalopods, it has two different modes of reproduction, which it deploys strategically through its life cycle. Dicyemids have no guts for the same reason you don’t grow and grind your own wheat to bake bread. Why work to make your food when you can just get the finished product? These creatures live in the digestive systems of octopus, squid, and nautilus. Their food comes to them already processed, and they absorb it through their skin. Dicyemids might be considered the tapeworms of the sea, except for the fact that they don’t absorb food. They cluster in the kidneys, and there they absorb waste products. An octopus’s trash is a dicyemids’ treasure. But an octopus can only produce so much trash, and when your world is limited to the inside of a squid, it doesn’t pay to overpopulate. 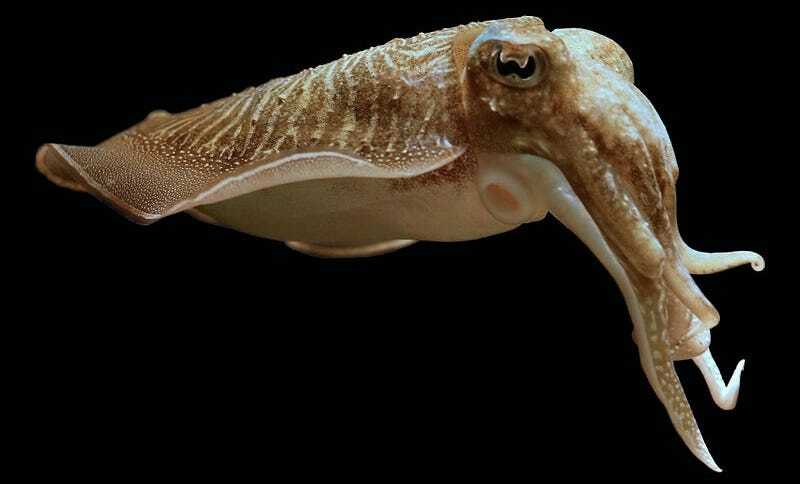 Scientists who have studied dicyemids inside of cephalopods have found an odd split between those found in juveniles and those found in adults. A juvenile octopus or cuttlefish will probably be filled with the asexually-reproducing form of a dicyemid. Asexual reproduction lets the dicyemids drive up their numbers fast. Adult cephalopods have a different kind of dicyemid inside them. These dicyemids reproduce sexually, and so are slower to multiply. This isn’t intrinsically triggered by the maturation of the cephalopod. It’s more likely that the dicyemids switch reproductive cycles when the kidneys of their host get too crowded. So these things travel the ocean by cleaning up the waste products of cuttlefish, and specifically limit their numbers so they don’t overcrowd their space. Anyone wonder if, when we finally fly out into space and make contact with aliens, they’ll think we’re just the grooming parasites on huge, living ships?